Thu., Aug. 16, 2018, 10:15 a.m.
WASHINGTON – U.S. housing starts ticked up just 0.9 percent in July, a sign that higher construction costs might be weighing on homebuilders. The Commerce Department said Thursday that housing starts last month rose to a seasonally adjusted annual rate of 1.17 million, not nearly enough to reverse the steep 12.9 percent plunge seen in June as rising lumber, land and labor costs appeared to constrain new construction. Lumber prices have shot up by about $7,000 per home since the start of 2017, largely due to tariffs on Canadian softwood lumber by the Trump administration, according to the National Association of Home Builders. 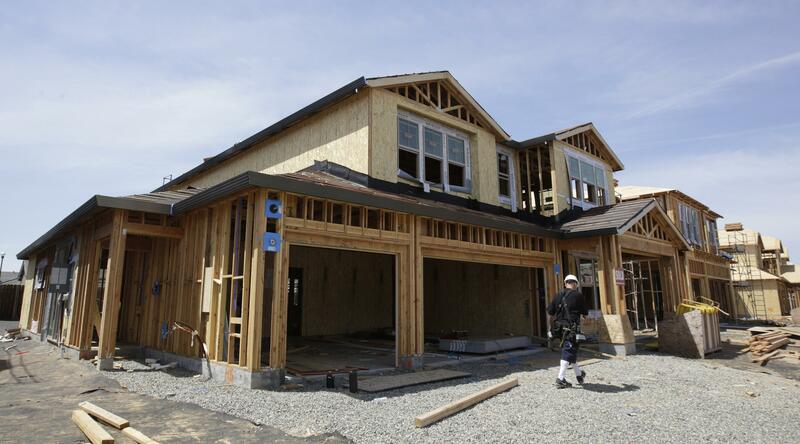 “It looks like U.S. homebuilders are finding it increasingly difficult to get into the groove,” said Jennifer Lee, a senior economist at BMO Capital Markets. Prices are also a factor for would-be buyers, who are facing higher mortgage rates this year. The average interest on a 30-year, fixed-rate mortgage was 4.53 percent this week, up from 3.89 percent a year ago, according to the mortgage company Freddie Mac. But Robert Dietz, chief economist for the National Association of Home Builders, noted on Twitter that there has been a sharp increase in single-family homes being authorized but never started, which indicates that projects are being delayed because of higher building materials costs. Published: Aug. 16, 2018, 10:15 a.m.